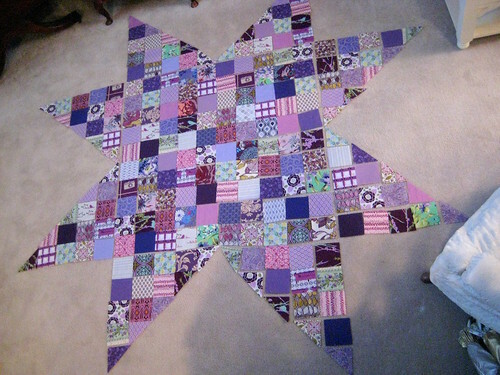 Made in Cherry QAL star, a photo by quiltyhabit on Flickr. That is stunning - I love purple and can't bear to cut in to some of mine, but may be tempted to look for a suitable project now! Interest in a Harry Potter Craft Swap?